(Moneywatch) Although Facebook's (FB) initial public offering was the most notorious of 2012, it was far from the worst. Just three months after Facebook's IPO, its stock price had dropped by more than 50 percent, falling from $38 a share to $17.73. This had many people wondering if Facebook was the worst IPO of all time. 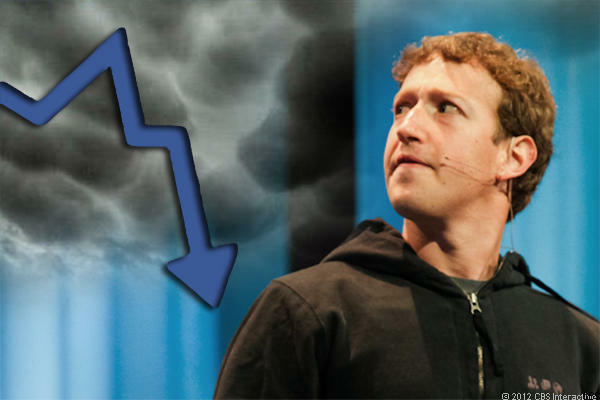 Now the numbers are in and it turns out Facebook wasn't even the worst IPO of the year. In fact, it didn't even crack the top 10. Facebook has seen a marked increase in its stock price in the last month, going from $19.20 on November 9 to close at $26.97 on December 6. That means its stock is down "only" 29.1 percent since May, which puts it at No. 12 on our list of the year's weakest IPOs. Here are the 10 worst IPOs of 2012, based on information gathered from research firms Dealogic, Renaissance Capital, IPO Monitor and other sources. 1. Envivio (ENVI): Shares of the provider of video services opened April 25 at $9. On December 6 it closed at $1.68, down 81.4 percent. 2. CafePress Inc (PRSS): The maker of goods with images on them opened March 29 at $19.03. On December 6 it closed at $5.44, down 72.5 percent. 3. Ceres (CERE): The agricultural biotechnology company went public February 20 at $13 a share. On December 6 it closed at $3.71, down 71.5 percent. 4. Enphase Energy (ENPH): The maker of solar energy converters went public March 30 at $7.34. On December 6 it closed at $2.72, down 63 percent. 5. Midstates Petroleum Company (MPO): The oil company went public April 20 at $13 a share. On December 6 it closed at $7.17, down 55.6 percent. 6. Audience (ADNC): The software company went public May 10 at $17. On December 6 it closed at $8.60, down 50.5 percent. 7. Roundy's Parent Company (RNDY): The Midwest grocery store chain when public February 8 at $8.50. On December 6 it closed at $4.48, down 56.9 percent. 8. Renewable Energy Group (REGI): The maker of biodiesel fuel staged the first IPO of the year. Its stock opened at $10 on January 19. On December 6 it closed at $5.90, down 40.1 percent. 9. Verastem (VSTM): The biotech firm focused on cancer stem cells went public January 27 at $10 per share. On December 6 it closed at $6.62, down 33.8 percent. 10. PetroLogistics (PDH): The energy company went public May 4 at $17. On December 6 it closed at $11.84, down 30.41 percent.